Traditional qualitative interviews typically involve a single subject; interviews of dyads rarely appear outside marketing research and family studies. 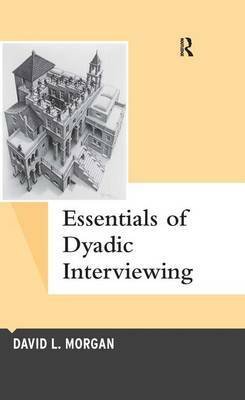 Experienced qualitative researcher David Morgan's brief guide to dyadic interviewing provides readers with a road map to expand this technique to many other settings. In dyadic interviews, the interaction and co-constructions of the two subjects provide the data for the researcher. Showing the advantages and disadvantages of interviewing two people at once, the first book on this research topic -covers key issues of pair rapport, ethics, confidentiality, and dealing with sensitive topics;-describes the entire process from selecting the participants to the role of the moderator to analyzing results;-uses examples of grad student experiences, physician behavior, substance abuse, services to elderly, and dementia patients to show its many applications.